Held in Edinburgh, Scotland from September 26th to 29th, 2018, the event brings together neuroscientists, neurosurgeons and psychiatrists to discuss the latest advances in the field. 2018 is the first year that the ESSFN congress is jointly organised by neurosurgeons and a psychiatrist. In addition to neurosurgical approaches for psychiatric disorders, the conference will also focus on pain, epilepsy and Parkinson’s disease, with discussion of the latest technological, clinical and scientific advances. At the event, Renishaw will demonstrate the neuromate® stereotactic robot system that can be used for a range of functional neurosurgery procedures. The system can be used in deep brain stimulation (DBS) for Parkinson’s disease and stereoelectroencephalography (SEEG) for the treatment of epilepsy and delivery of an investigational intraparenchymal drug delivery system. Also exhibiting on the stand will be DIXI Medical, a manufacturer of specialist electrodes and instruments for use in stereotactic neurosurgery. In the UK and Ireland, Renishaw is the exclusive distributor of DIXI Medical products, including depth electrodes, biopsy needles, cortical grids and accessories. 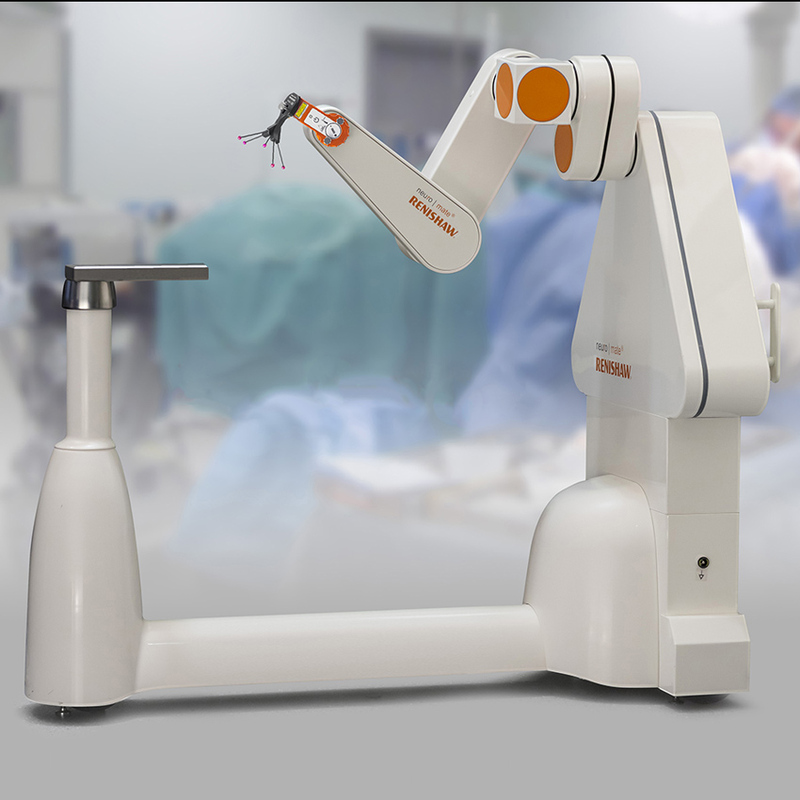 “Robotic systems provide a consistent, rapid and precise platform for all surgical neurosurgery applications,” explained Adrian Gut, Global Sales and Marketing Director, Neurosurgery, at Renishaw. “The neuromate stereotactic robot has been used in thousands of procedures to reduce procedure time and improve accuracy. Renishaw offers a range of neurological products including medical devices, software and surgical robotic systems. For more information on Renishaw’s products for stereotactic neurosurgery, visit http://www.renishaw.com/neuro.